FRIAB work with children, youth and adults who struggle with different degrees of mental illness - often in combination with substance abuse, violence or criminality. The company provides support and/or treatment, thereby helping people to affect a positive change in their lives. Our goal for this project was to create a roll up that strongly reflected FRIAB’s CI, that would stand out and clearly communicate FRIAB’s mission, and that would be general enough in it’s design so it could be re-used on many different occasions. 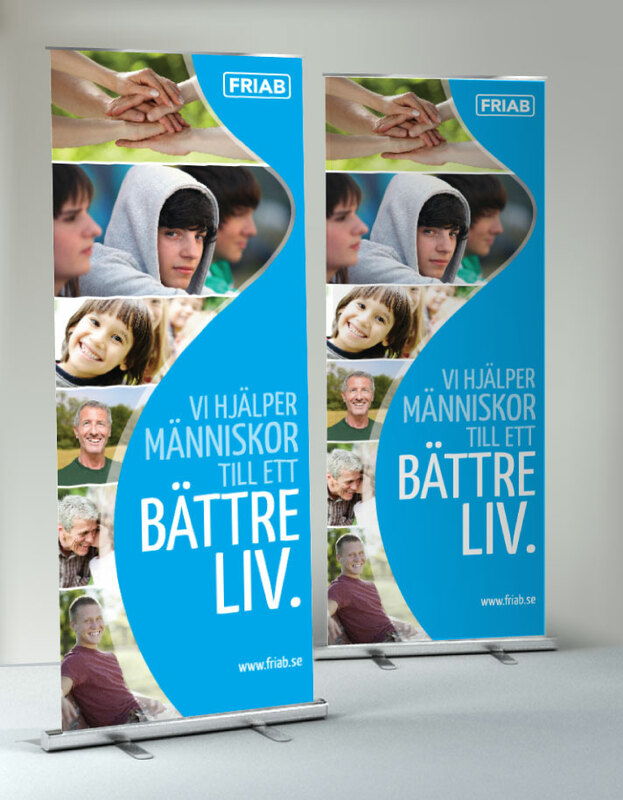 We created the design, had it printed and delivered it as a ready-to-use marketing asset to FRIAB.